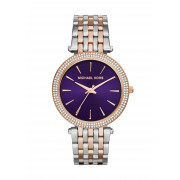 The addition of a vibrant purple dial on the Darci watch adds a touch of regal glamour. The watch from Michael Kors features a two tone, silver and rose gold plated bracelet making it easy to match this watch to any outfit. 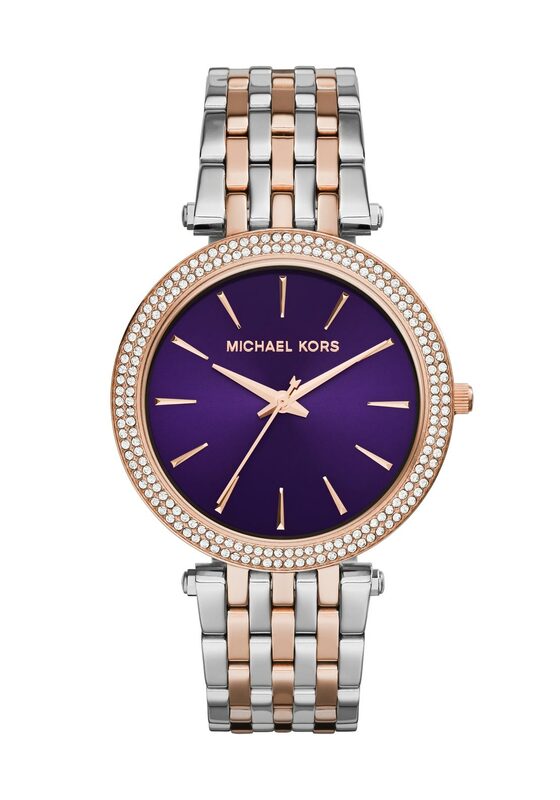 A pave embellished bezel and rose gold plated hour markers complete the look.